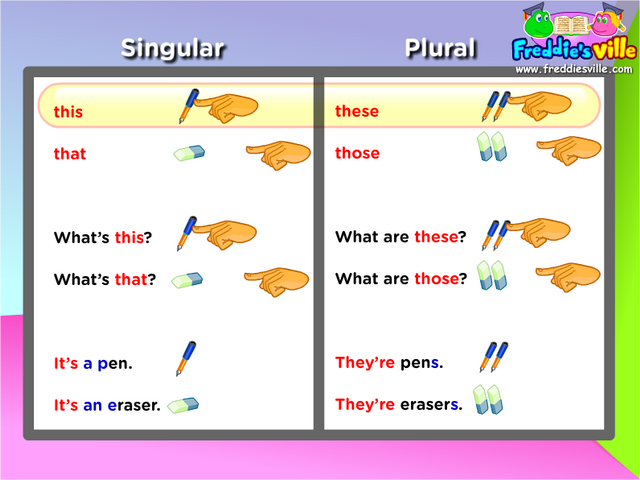 Grammar: This lesson focuses on using demonstrative pronouns in sentences and questions. We will also learn to ask and answer questions using contractions. We use demonstrative pronouns to ask about things that are near or at a distance from the speaker.